Advocacy milestones, changing gears, listening & convening. 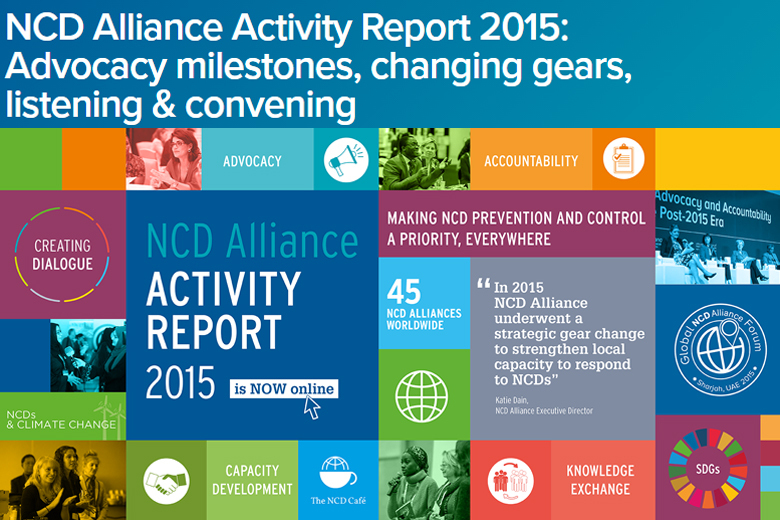 On the 5th May 2016 the NCD Alliance released its Activity Report for 2015. During 2015 the NCD Alliance drove forward an ambitious programme of work to maintain momentum on NCDs at global, regional and national levels. They celebrated achievements, convened NCD civil society representatives, and set solid foundations for supporting progress on NCD prevention and control in the post-2015 era. In 2015 NCD Alliance celebrated an advocacy milestone with NCDs recognised as a sustainable development priority.